Summer’s here—time for sandals and flip-flops and peek-a-boo toes. But what’s showing on your feet? Painted nails and pretty toe rings…or ugly foot fungus? Nail fungus affects about 38 million people in America. Many people wonder how they got this disease, which can be difficult to eradicate and is certainly unsightly. Here are some commonly asked questions…with answers. Q: How did I get this fungus? A: As a practicing board-certified podiatric surgeon, I am asked this question several times a day. Unfortunately, it’s difficult to ascertain the exact cause of a fungus. Some patients may recall a dirty nail salon or a summer trip to the Hamptons with a roommate who may have had toe fungus. The truth is, fungus is everywhere, and some people are more susceptible to it than are others. Fungus can be found in gym locker rooms, hotel rooms, and nail salons. It would be difficult not to be exposed to it, but if you limit your exposure, you can minimize the chance of getting a bad infection. A: Fungal infections can cause the nails to become discolored, thick, yellow, incurvated, and can possibly cause the nail to break away from the nail bed, leading to a gap between the nail plate and the nail bed. This allows for dirt, bacteria, germs, and fungus to live under the toenail and breed. Occasionally this can lead to odor as well. A: Yes. Studies have shown spouses generally can infect each other. If you or a loved one have fungus, it is better to treat it early to prevent the spread to others in your household. Q: Is it more common in women? A: We see a greater number of women with the infection, likely due to the fact that most women paint their toenails. This allows for a dark area under the nail and allows the fungus to breed. Women also take more trips to the nail salon, so they are exposed to fungus more often. Q: Why are fingernails less likely to develop fungus? A: Fungus thrives in a dark, moist environment. Fingernails are exposed to light, and there is less moisture on the fingernails. In fact, many people have dry skin on their fingers. Q: How can I avoid getting this infection? A: Consider using a nail salon that uses sterile instruments and either bring your own nail file or make sure that a new one is used. The nail file is porous and can act as a breeding ground for fungus. Always use flip-flops at the gym or in hotel rooms. Also consider an antifungal powder in your shoes to decrease moisture. Since fungus breeds in a dark, moist environment, you should leave damp or wet shoes near a window to dry properly. Do not put them in your dark closet. Q: How bad can the fungus get? A: Fungus can affect the nails to different degrees. You can have a very mild or superficial infection that can usually be treated by topical medications and debridement. This usually starts with white spots on the surface of the nail. Moderate infections may penetrate the nail plate and may affect up to 50% of it. Other, more severe infections can affect over 50% of the nail plate and can get down to the matrix/root of the nail. Q: How can I effectively treat this? A: For mild infections, topical medications and mechanical debridement can be quite effective. Occasionally, we may try oral medications or laser procedures to cure the infection quickly. 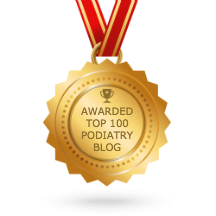 Moderate to severely infected nails may not get better with topical medications but usually respond well to oral medications or a new type of laser treatment called PinPointe Foot-Laser. Q: How safe is the laser? A: The PinPointe FootLaser is completely safe. It is a YAG laser that has been around for many years. YAG lasers have been used for hair removal, aging spots, and sunspots. Q: How long has the laser been used for nail fungus? A: The laser was introduced in California early last year and has been used in New Jersey for about a year already. It became available in New York in January of this year. Q: What are the benefits of the laser? A: Usually the laser treats patients in a single session, with no drugs and no anesthesia. Laser light passes through the toenail without causing damage to the nail or surrounding skin. During the procedure, the pathogens that cause toenail fungus are targeted, allowing the new nail to grow in healthy and clear. Unlike some medication-driven treatments for toenail fungus, the laser presents minimal risk of side effects, and it is a great alternative for many patients who can’t or don’t want to take oral meds. Q: What are the side effects of the oral medications? A: Generally speaking, oral Lamasil is relatively safe. A blood test is done prior to initiating therapy and other tests may be performed to ensure the medication is not having ill effects on your blood or liver enzymes. There have been some patients who have experienced rashes and a taste disturbance; however, most of the side effects are resolved once you come off the medication. Q: Can I use nail polish during treatment? A: You can use nail polish while on oral medication and immediately after the laser treatment. If a patient is on topical therapy, she cannot use nail polish as the topical medications will not penetrate through the polish. Q: Is the laser treatment covered by my insurance? A. At this time there is no insurance company that covers the laser procedure. It is considered to be aesthetic and too new a modality. Time will tell if insurance companies will adopt this treatment modality into the patients’ plans. Many patients use their HSAs (Health Savings Accounts) or FSAs (Flexible Spending Accounts) to cover the cost for the laser treatment. Q: What is the cost of the laser? A: The laser procedure costs from about $800 on Long Island to upward of $1500 in Manhattan. 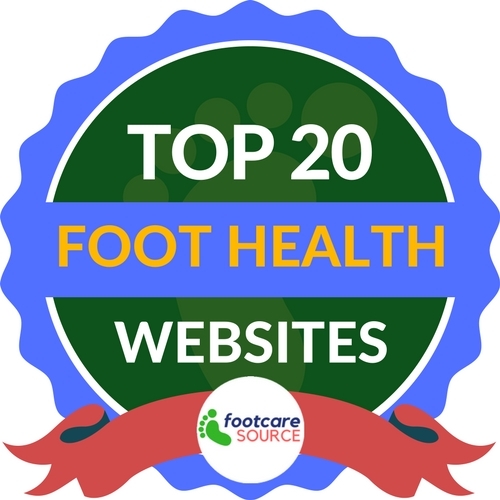 For more information on toenail fungus, please contact our foot doctors of Long Island, NY at Advanced Podiatry today, at either our Huntington, NY, Manhasset, NY or Maspeth, NY practice! Or submit a request through our site's contact form.